A species of Proetus from Black Cat Mountain is shown in the photograph below. This is an exceedingly rare specimen, about 1 cm in length, found by Bob Carroll's good friend Eugene Thomas. 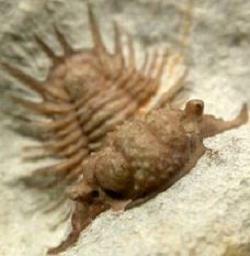 Only one other partial specimen appearing to be of this species has been found in these rocks. The photograph was provided courtesy of Bob Carroll. Since Eugene passed away, the specimen has been lost. 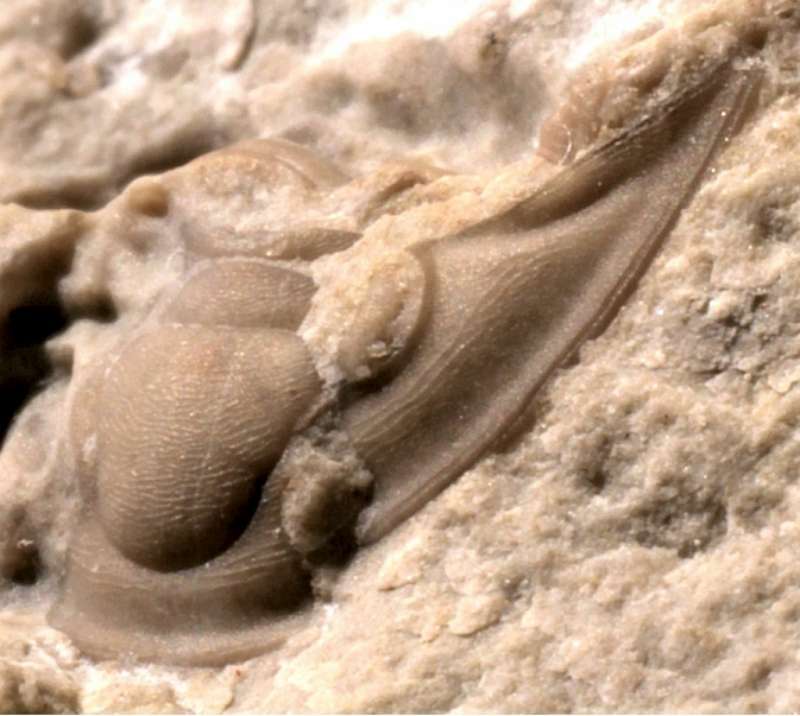 Below is a second, similar but only partial specimen found by Bob Carroll in the same strata as the one above. He donated it for study. The specimen is less than 1cm across. Allart van Viersen of the Natuurhistorisch Museum Maastricht in The Netherlands kindly provided the photograph.